Bhubaneswar: The 48-hour Mahabandh, observed with a demand of establishment of a permanent High Court Bench in western Odisha, concluded on Saturday morning. The Mahabandh was conducted peacefully and attracted people’s support in in seven western Odisha districts of Sambalpur, Jharsuguda, Deogarh, Boudh, Bolangir, Kalahandi and Nuapada, claimed lawyers’ associations. The Central Action Committee (CAC) of lawyers’ associations had called the massive stir to press for establishment of a permanent High Court Bench. With the Mahabandh concluded, schools and colleges, banks and shops and bazaars have reopened in the districts. Vehicular movement and train services have been normal. 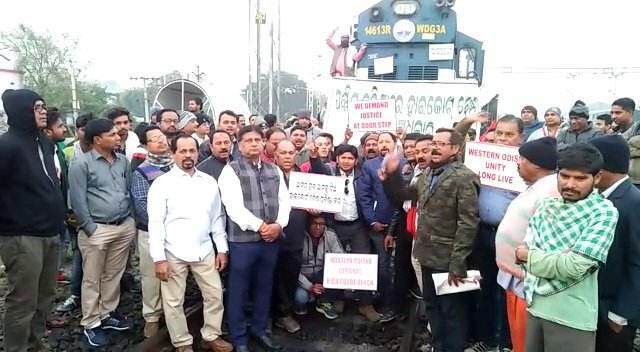 According to reports, lawyers are now planning to resort to economic blockade in the region as neither the Union Government nor the State Goverment has responded to the stir yet.The CAC has will hold an emergency meeting at 12 pm at Sambalpur, said reports. Notably, lawyers’ cease-work agitation has almost paralysed the judicial delivery system in the region since September 5. As the lawyers were not assured of establishment of a permanent High Court Bench in the region, the CAC called for a 48-hour Mahabandh.